Long-sleeve robe in a soft brushed interlock knit. Quilted shawl collar and cuffs. Embroidered logo enhances the chest patch pocket. Collar and cuffs: 76% cotton, 24% polyester. 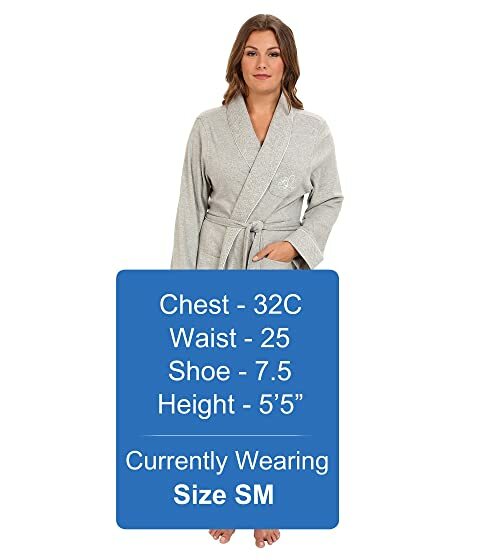 Product measurements were taken using size 1XL (US 18-20). Please note that measurements may vary by size.